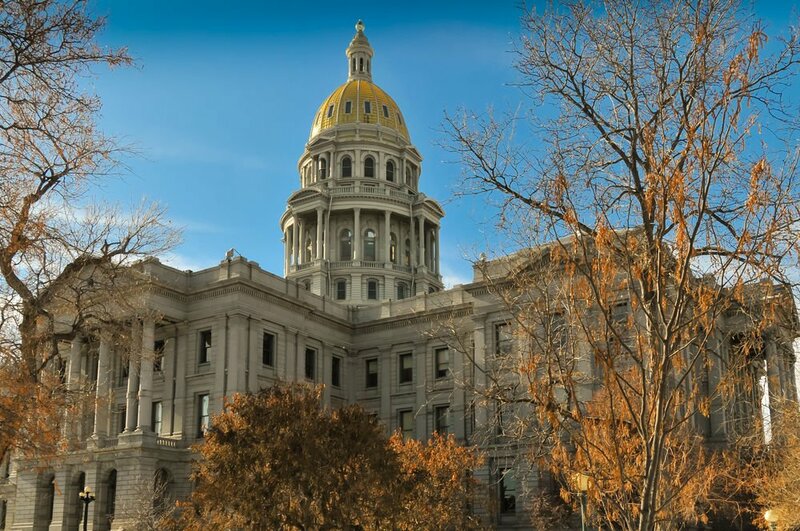 On Nov. 3, 1992, Colorado voters approved a constitutional amendment which stipulates that lawmakers seeking to raise taxes or issue debt must first ask voters for permission. Called the Taxpayer Bill of Rights, or TABOR, it took effect Dec. 31, 1992, and was designed to serve as another check against the growth of government. It requires that any increase in overall revenue from taxes not exceed the rates of inflation and population growth. The TABOR Foundation, which was instrumental in advancing the amendment, maintains that it has been a successful measure. Since its inception 26 years ago, many attempts have been made to amend, circumvent and litigate TABOR; the foundation counts at least 80 cases between 1993 and 2017. Pfiffner said a perfect example of this is the 2015 lawsuit it filed, TABOR Foundation, et al. v. Colorado Department of Health Care Policy & Financing, et al. regarding Colorado’s “hospital provider fee,” which it argues is an unconstitutional tax. The practice dates to 2009, when the Affordable Care Act was about to pass Congress and the Colorado State Legislature enacted a hospital provider tax in an effort to receive more federal Medicaid fund-matching dollars. The hospital provider tax artificially increased the hospitals’ costs, which when reported to the federal government, resulted in the state receiving more money for the inflated, not actual cost, of healthcare provided, the foundation argues. “This scheme doesn’t just amount to quasi-money laundering – it also creates perverse incentives for hospitals, who might not choose the most cost-effective care, and legislators, who use Medicaid expansion to fill state coffers,” the foundation said. In 2015, the TABOR Foundation sued CHASE and the Colorado Department of Health Care Policy and Financing. The fees generate close to $1 billion toward the $8 billion Colorado Medicaid program, Linda Gorman of the Independence Institute said. Gorman has been deposed on issues related to the lawsuit. “The General Assembly went ahead and made the hospital taxing operation a Taxpayer’s Bill of Rights exempt enterprise last session,” Gorman told Watchdog.org. “If the state of Colorado wins the case, the Taxpayer’s Bill of Rights protections would be significantly reduced. TABOR defenders note that the tactics local and state government officials use to circumvent it include mortgaging state buildings, eliminating tax breaks and renaming tax increases as “fees” administered by “enterprises,” which are actually state-run entities whose revenues are not included in TABOR’s revenue cap. TABOR defenders received two setbacks earlier this year. In April, the Colorado Supreme Court upheld the decisions of two lower courts against another lawsuit the foundation filed against the Regional Transportation District. The foundation argued that RTA violated TABOR by adding sales taxes to some items to benefit public transportation and cultural groups in the metropolitan Denver area without voter approval. The court ruled that the taxation was constitutional. Yet, under the Colorado Constitution, any “tax policy change directly causing a net tax revenue gain” requires voter approval. Also this year, the U.S. Supreme Court sent back a 2011 case to the 10th U.S. Circuit Court of Appeals in which state Sen. Andy Kerr, D-Lakewood, and House Speaker Dickey Lee Hullinghorst, D-Gunbarrel, led 33 plaintiffs against TABOR. They allege that the amendment is unconstitutional because it took power from legislators who otherwise would be able to raise taxes and spend taxpayer money without taxpayer approval. No action has yet been taken on the case. This entry was posted in Colorado Legislature, Education, Fees, Hospital Provider Lawsuit, Kerr vs. Hickenlooper Lawsuit, Legal Issues, Media, TABOR news story, TABOR Refunds, Taxes by thetabor. Bookmark the permalink.